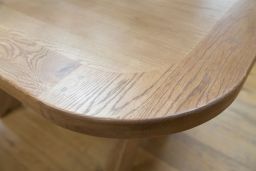 Made from American oak sourced from sustainable managed forests. 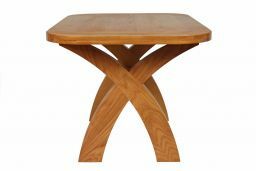 This chunky table comes with a 40mm thick table top. 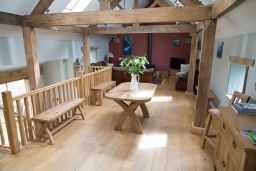 You get plenty of oak for your money with this stunning design which is built to last. 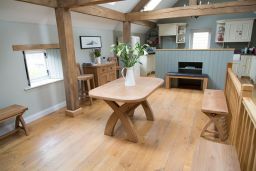 The Country oak range of tables are made exclusively for Top Furniture so you wont find them elsewhere and many additional matching items are also available. 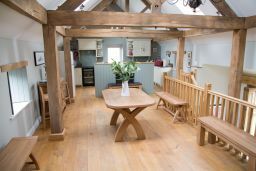 Matching Grasmere, Windermere & Dorchester solid oak chairs available. 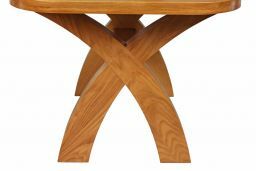 Great new designs to match this great looking table. 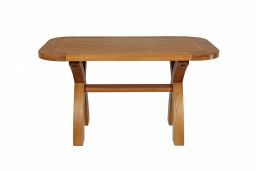 A great looking family sized table offering amazing value for money. 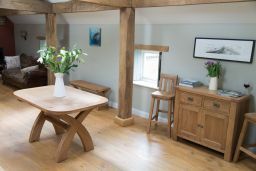 Media agencies are welcome to use this high resolution image of the Farmhouse cross leg oak dining table. 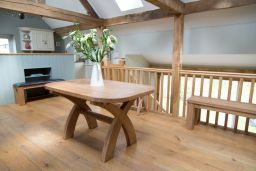 View all of our oak table designs here. 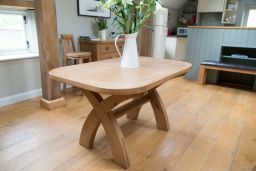 A good solid oak table, stable with a contemporary design that fits perfectly with my other oak furniture, completing an eclectically living/dinning room theme. Easy to build. 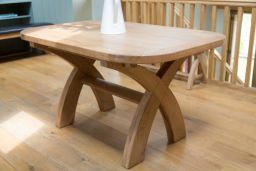 This product is EXCELLENT, well made and very well finished, the design fits in well with our other oak furniture pieces. Delivery was as promised and arrive within two minutes of time given. The delivery men were exceptional, not only did they assemble the table they also fitted felt foot protectors and took away the packaging. Cannot fault this company in any way, for both service and quality of products. Very solid, easy to put together, value for money. I had an excellence experience, called to enquire about the delivery times as i needed the table promptly. The staff arranged that i got the table delivered promptly. I would highly recommend this product and TOP FURNITURE. Incredibly good value for such quality, attractive & well made piece of furniture. Delivery process was straightforward & delivery men were friendly & helpful. 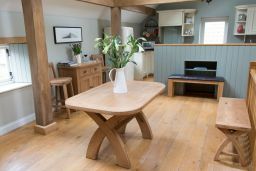 Really pleased with this table a solid piece of very well made furniture . 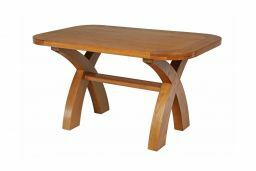 Excellent value for money I have been looking for a new dinning table for some time really glad I chose this one it looks magnificent . Excellent value for money. Very sturdy. Looks amazing. Really pleased. 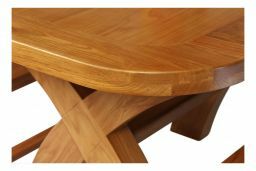 Excellent table, would shop again, great quality. Looks great, arrived promptly, easy to assemble. The furniture was delivered within the 10-15 day window. the delivery people were very good and gave me tips on how to put the furniture together. 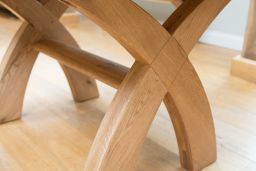 The furniture was easy to put together and beautifully made. Was worried it wouldn't look as good as the pictures on-line but it is absolutely gorgeous!